I love the Ramones, but the Clash is better. They are British and the British do punk better. My predecessor seems to have his ducks in a row. Maybe we need a troll account squad. I am your successor, Taft after Teddy. But you are not from AAAAMEERICAAA! Bow the the US Calvary! AAAAAAMMMMEERICAA! My Presidency of Create Debate shines on! EEwwwwwwwwwww anime is terrible and against AMMMMERRRRRICA!! The Hoover Dam Was the Greatest American Achievement? 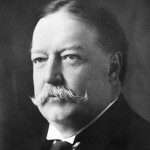 Howard Taft was the Best American President! War with North Korea imminent? "I am the the leader."